This article first appeared in the St. Louis Beacon, Aug. 30, 2011 - Joseph Passonneau designed one of the last pieces of the interstate highway system, which has been hailed as "public art," and he pioneered an innovative architectural curriculum at Washington University that has been emulated across the nation. Mr. Passonneau, a renowned architect, civil engineer, author and university professor, died Monday, August 22, in Washington, D.C., of end stage dementia. He was 90. This article first appeared in the St. Louis Beacon, Aug. 24, 2011 - The Rev. William Faherty was on location in Mexico with Charles Bronson and Anthony Quinn for the filming of MGM's 1968 spaghetti western "Guns for San Sebastian." A few years later, when James Michener was doing research for his epic tome "Centennial," he flew to St. Louis to visit Rev. Faherty. This article first appeared in the St Louis Beacon, Aug. 1, 2011 - It's a pretty safe bet that most homes in Frontenac do not have a machine shop in the basement or all the parts to build an airplane. The basement of George Desloge always had the former and, at times, the latter. His day job was president of Watlow. Dr. Leonor Feliciano, who came to the United States to complete her medical training and succeeded in teaching thousands about Philippine culture, pride and contributions, died Saturday of breast cancer at her home in Creve Coeur. She was 66. She had been diagnosed with breast cancer in 2001. Three days before her death she had written, "I have lived my life out loud and with happiness." Her daughter, Sonjie Solomon, confirmed that assessment. Mass will be celebrated for Dr. Feliciano at St. Monica Catholic Church on Friday morning. This article first appeared in the St. Louis Beacon: Bernard "Bernie" Lipnick prepared well to become a rabbi, a role he actively served in for four decades at Congregation B'nai Amoona. But being a pulpit rabbi was never his goal. "I became a rabbi - that was my title - but I didn't want to do rabbinic work," he told the St. Louis Jewish Light in 2008. "What I wanted to do was Jewish education." 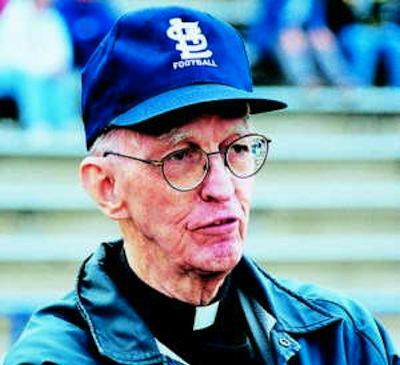 This article first appeared in the St. Louis Beacon, Dec. 19, 2008 - "Lou Lewis, class of '53, passed away this morning." That was the first comment on the message board of the McKinley High School website, mckinleygoldbugs.com, on Mon. morning, Dec. 8. Mary, a member of the McKinley High School class of 1964, posted the message. This article first appeared in the St. Louis Beacon: November 19, 2008 - After an idyllic stay in pristine natural beauty, among critters and pine trees and dear friends, most people would think that returning to their everyday lives would mean a return to civilization. This article first appeared in the St. Louis Beacon: November 17, 2008 - Donald Finkel, a celebrated poet and one of the most luminous stars in the galaxy of the English Department at Washington University in St. Louis, died Saturday of Alzheimer's Disease at Schuetz Manor, an assisted living facility in St. Louis County. He was 79 years old. The university lowered its flag Tuesday in his honor. A memorial service is scheduled for Friday, Dec. 12, at 11:30 a.m. in the Women's Building on the Washington University campus. This article first appeared in the St. Louis Beacon: November 9, 2008 - (Eulogy of Sgt. Michael King) - For those of you who do not know me, I am Glenn Duncan. I am a police officer with the University City Police Department and I started working here just a few months before Mike. That’s a little over 25 years ago. This article first appeared in the St. Louis Beacon: October 28, 2008 - Alberta Slavin, a civic activist who wore many hats as a consumer advocate, journalist, politician and supporter of the arts, died Monday Oct. 27 at St. Louis University Hospital. Ms. Slavin, 78, of Clayton, had been battling a neurological disorder for many months. This article first appeared in the St. Louis Beacon: October 10, 2008 - Stan Kann was a man rich in talent and loaded with friends. A renowned theater organist who spent decades working at the Fox Theater, an accidental comic, a collector of vacuum cleaners and gadgets, Kann's sweet nature earned him an array of loyal friends that included prominent names from Hollywood and St. Louis. This article first appeared in the St. Louis Beacon: September 30, 2008 - Stan Kann died yesterday afternoon (Sept. 29, 2008). I was, ironically, running the vacuum cleaner when my friend John called with the news. Honest! This article first appeared in the St. Louis Beacon: September 9, 2008 - Helen Weiss began her career at Famous-Barr in 1959 at a time when many women were just beginning to establish careers outside the home. Many in retailing and other professions looked to her as a role model. It wasn’t for her ability to rise through the ranks. She stayed a mid-level executive until her retirement last year. Rather it was because she always kept about her a sense of who she was – a party giver, a fashion plate, and an unreconstructed liberal who never fell out of love with that futile Democratic presidential candidate of the ’50s, Adlai Stevenson. This article first appeared in the St. Louis Beacon: September 6, 2008 - In life, Mike Swoboda seemed like a perpetual motion machine as he moved around his town of Kirkwood shaking hands, joking with old friends, listening to people's problems, tutoring elementary school students and always recruiting volunteers for community service. Swoboda died Saturday morning after difficult months recovering from gunshot wounds and fighting cancer. He was 69. ​This article first appeared in the St. Louis Beacon: September 5, 2008 - Selwyn Pepper, a member of reporter teams that earned three public service Pulitzer Prizes for the St. Louis Post-Dispatch, died Thursday, Sept. 4, of infirmities at a retirement center in Overland Park, Kan. He was 93. A graveside service and burial will be held at 2 p.m. Sept. 7, at Beth Hamedrosh Hagodol, 9125 Ladue Road, Ladue. Burial arrangements are by Berger Memorial, St. Louis. This post first appeared in the St. Louis Beacon: July 31, 2008 - David Lipman, the energetic and demanding editor who ran the St. Louis Post-Dispatch newsroom for 14 years, died Thursday after a long illness. Mr. Lipman, 77, lived in Chesterfield but also spent a great deal of time in his retirement in Arizona. The Post-Dispatch reported on its website late Thursday that he died at Barnes-Jewish Hospital of complications from myelodysplasia, a bone marrow-related disease. This article first appeared in the St. Louis Beacon: June 15, 2008 - With a receding chin, puffy cheeks, hair that never quite looked neat and a self-described "face for radio," Tim Russert should never have made it to the top in an age of telegenic vacuity, dominated all too often by empty, but beautifully coiffed talking heads reading from teleprompters. The fact that he not only "made it," but was the dominant and most respected presence in American political journalism at the time of his death, says much about this Horatio Alger-style version of the "Rags to Riches" myth many had assumed long passé. This article first appeared in the St. Louis Beacon: In the picture on the sweatshirt they gave me, they are so small. My basketball team. They are not small because they are in grade school. They are small. And there, standing next to me in a triple-threat pose is one of smallest girls, one with red hair and an infectious grin: Emily Starkloff. She was one of a trio of players on my eight-person roster who either hadn't passed the 5-foot mark or just barely crossed it. This article first appeared in the St. Louis Beacon: When I met Fr. Hagan, it was 1991. He wasn’t teaching anymore. He still ran the rifle room and Rifle Club, and he still knew everyone’s name. In the fall of 1991, I was a freshman at SLUH. I had come from a small parochial school on the city’s south side with a graduating class of 15. Upon finding myself in a class of 250, well, let’s just say it took some adjustment: That many guys in a class wasn’t quite intimidating; it was exciting, though it was way beyond comfortable.